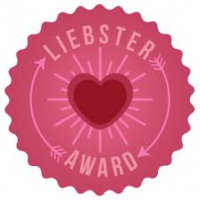 Soumyaa, who blogs here has been kind enough to bestow The Liebster Award for my blog. As we all know, in the blogging world awards and such rituals are a way to motivate each other and show appreciation. In this vast world of bloggers or writers, it is easy to get lost in the crowd, lose focus or even feel threatened by the deluge of exceptional writers around. Appreciation from fellow bloggers is something we count upon to goad us, inspire us and shake us from the stupor, if need be. So, thank you Soumyaa for the gesture. 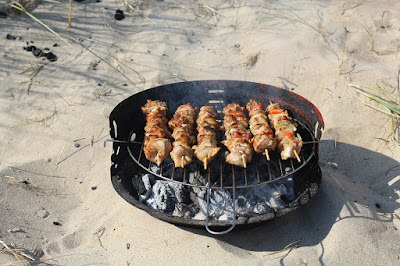 I began reading your blog only recently but I'm in awe with the way you weave your posts. Keep writing and inspiring. I'm 5 feet 5 inches tall. I don't know about big or biggest but I'm trying to change in small ways, trying to believe myself more, correcting my faults even as I allow myself to make mistakes. What would your dream holiday be like? If you could be a farmer, what would be on your farm? Lots of organic fruits and veggies. Will you ever accept an offer to reality shows like Bigg Boss? Who's your favorite literary character? Enid Blyton. Loved how every character and situation would come to life in her books. And the way she'd describe food, would make me-a non-foodie-devour all that yummy dishes. What's the longest you've gone without sleep and what was keeping you awake? Who's that one extraordinary person that you know? Anybody who's graceful even during the toughest period of their life is an extraordinary person to me. In that sense I'm fortunate to know quite a few in my circle. Anything routine and mundane gets my goat. If ghosts can walk through walls and through human bodies, why don't they fall through the floor? They are ghosts. They defy all laws..hahaha! Thank you once again, Soumyaa and apologies for taking a while to do this post. Haha. I let out a chuckle at your last answer. Thanks for accepting my award so gracefully, Uma. You deserve every bit of it! Hey Namrata, thank you so much!